Dental X-Rays are one of the services provided by Dr. Delafraz and her team to find problems with your teeth and mouth, as well as the jaw. 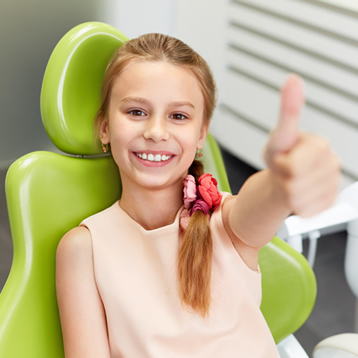 Dental X-rays allow them to take a closer look at your teeth to find cavities and see how healthy the root of a tooth and the surrounding bone are. Dental X-rays can also help your dentist find impacted teeth and can be used to check the growth of the teeth and jaw. You might need to have a set of X-rays taken for a few reasons. They are the most common type of X-ray that dentists perform because they help with finding problems with the teeth and jaw. Some types of intraoral X-ray include bite-wing, periapical and occlusal X-rays. A bite-wing X-ray shows the upper and lower tooth of one area from the crown to the supporting bone. Occlusal X-ray is bigger and allows the dentist to see the full tooth development and placement in the jaw. An extraoral X-ray shows the outside of your jaw and head. They include several different types of X-ray used for different purposes. A panoramic X-ray shows the entire mouth, while a tomogram shows only one layer of the mouth. The dentist can also look at the side of the head with a cephalometric projection. Sialography is used to look at salivary glands, which your dentist can do if you might have a problem with them. Your dentist can look at not just your teeth but your jaw and your whole head and skull to find potential issues.